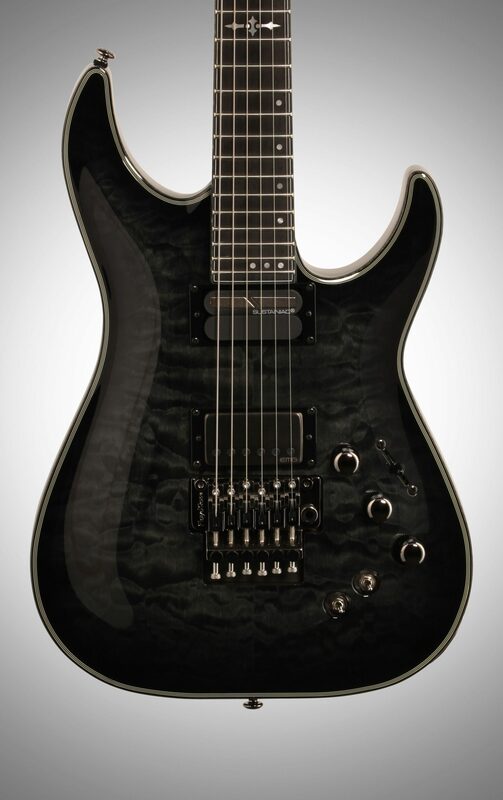 The modern guitarist appreciates the distinctive tone of the EMG 57 and Sustainiac pickups on the Hyrid C1FRS guitar. 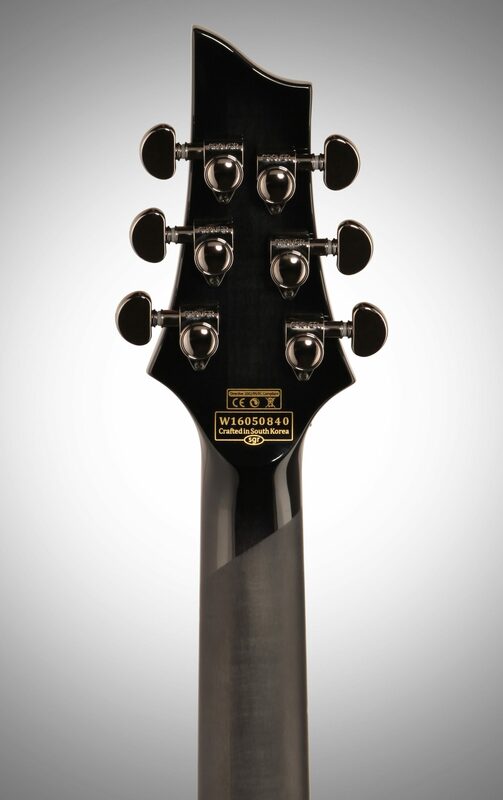 A set maple 3-piece neck with an Ultra Thin-C profile and Ultra Access plus a 12-16-inch compound radius Ebony fingerboard yields remarkable playability all the way up the neck. 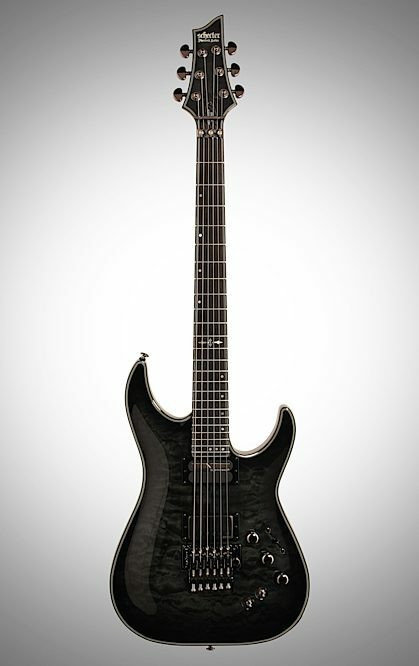 The black chrome hardware and carbon fiber multi-ply binding with glow in the dark side dot markers makes the Hybrid C1FRS a remarkable guitar. 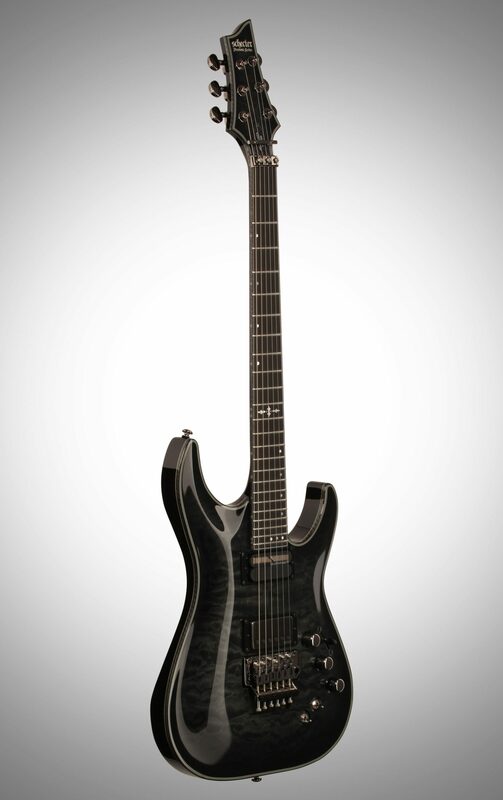 Overall: This is my first Schecter not from the USA shop, and I'm pretty impressed. Although I would much rather this model was made in the USA, I am pleased with it for the most part. The sound is great, and it looks amazing. 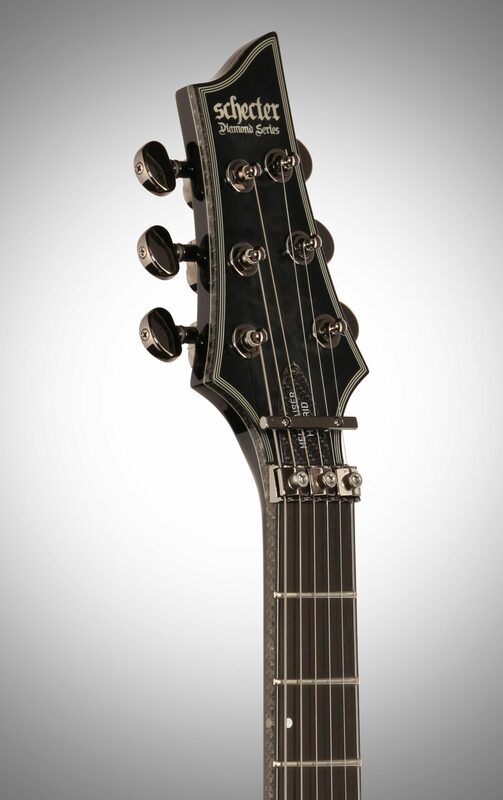 I love that it has the Sustainiac, as I'm losing interest in guitars that do not have it. I thought I wouldn't like the painted neck, but it actually feels and looks great. It is mostly easy to play except it is a bit heavy. 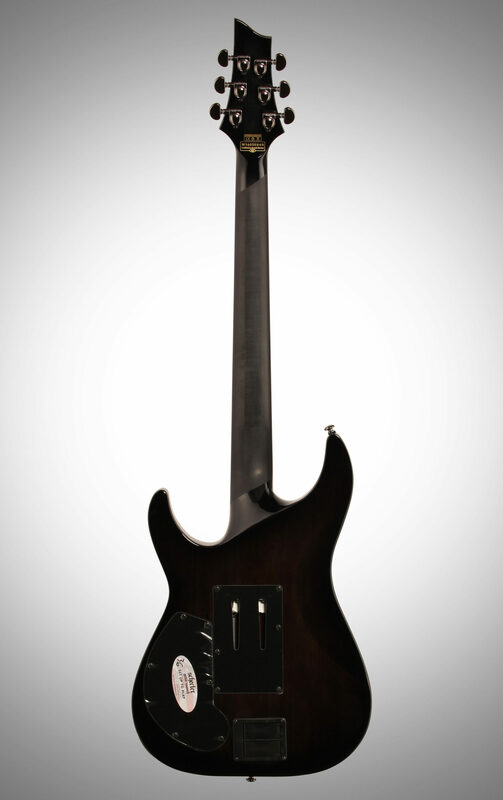 The neck/fret board are not as thin as my Ibanez S, but what is? 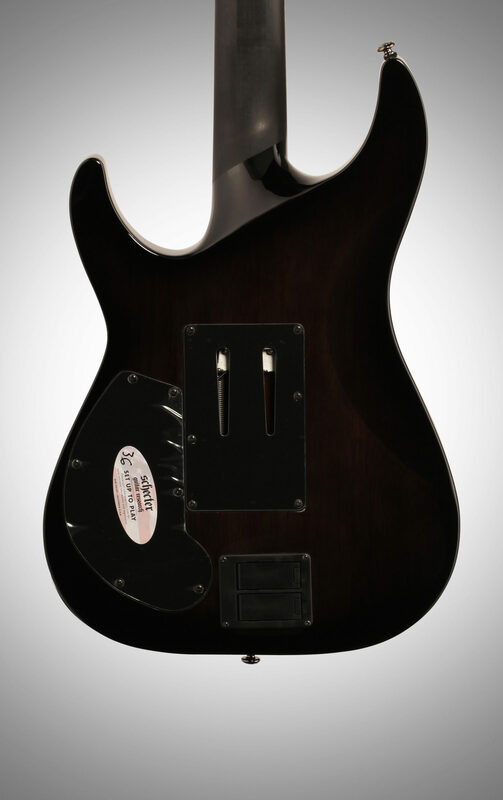 I only have one other gripe about this guitar. The plastic piece on the pickup selector came off, but it slipped right back on, thankfully. Overall, I absolutely love it, and I would buy it again. In fact, if I could afford it, I would buy another one just like it in case something happens to this one. 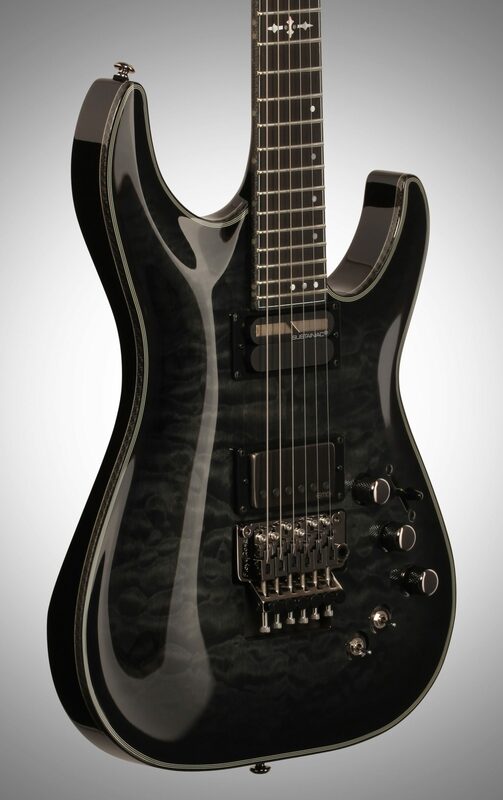 "Great features but higher than expected action"
Overall: The features on this guitar cannot be beaten for the price. The locking nut on mine sat higher than I would have liked and the volume knob was tilted at a pretty big angle. It sounded excellent and the build quality was high for the most part. I sent mine in because of the high nut and tilted knob and they sent me a used one that was squeaky and scratched for the full price of a new one. I will update the review if they send me a good new one next time. Style of Music: Hard rock, metal, blues.